In the early Aughts I experienced the joy of becoming father to a baby girl. When my daughter was four, we took a family vacation in Chicago where we visited the Lincoln Park zoo. Departing the otter exhibit, my daughter asked me, “Daddy, do otters ever get scared of swimming?” We all had a chuckle at that. I told her I didn’t think so since they live in the water, but I mused aloud that it would make a good children's book. 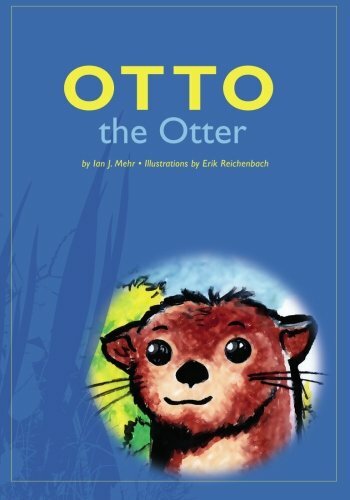 My wife agreed, exclaiming, “Otto the Otter Afraid of Water!” So I wrote it, hired an illustrator, and presented "Otto the Otter" to my daughter on her 5th birthday. I admit I am quite proud of my little children’s book. It’s available at Amazon.com as well as at my local library (although, much to my delight, it's frequently checked out). Otto has a strange problem for an otter – he’s scared of swimming! Teased for his fear, Otto is saddened but fortunately befriends Fergie, a frog who loves to help otters learn to swim. Not surprisingly, with a little encouragement Otto finds he’s a natural swimmer, and quickly puts his newfound skills to great use. Children everywhere will recognize facets of themselves in Otto, whether the pain from verbal cruelty, to the pangs of loneliness, to the comfort of good friends, to the joy of discovery of hidden talent. Following Otto’s journey will tug at your heart and leave you cheering for his success. If you buy it and like it I'd be grateful if you leave me a review on Amazon. To stay up to date with what I'm working on, connect with me and you'll be notified as soon as new stuff is available.